Asanoha literally means 'hemp leaf' and this pattern is a stylized interpretation of the plant. It is a repeat pattern, in fact, it was created as a geometric motif, made up of six diamond shapes arranged radially and repeated. The aggregate of triangles means enhanced strength and beauty, protection against evil. Traditionally, asanoha patterns have been put on babies’ clothes as a protector against evil. Since the hemp plant grows quickly, it was customary and common to use for children's clothes, in the hopes that the child would also grow fast and strong. 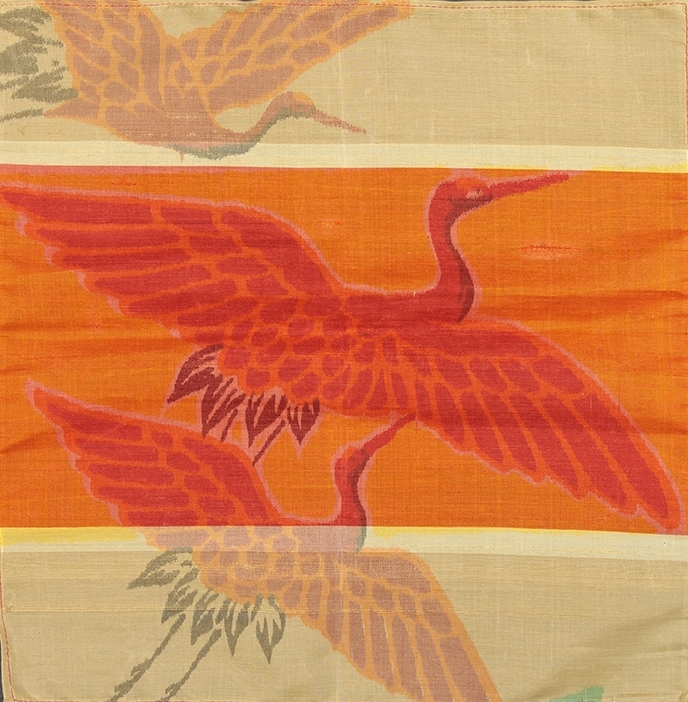 Igeta depicts a well, and is a common motif in Kasuri fabrics because of its simplicity. Since a well is a source of water, it symbolizes life and good fortune. 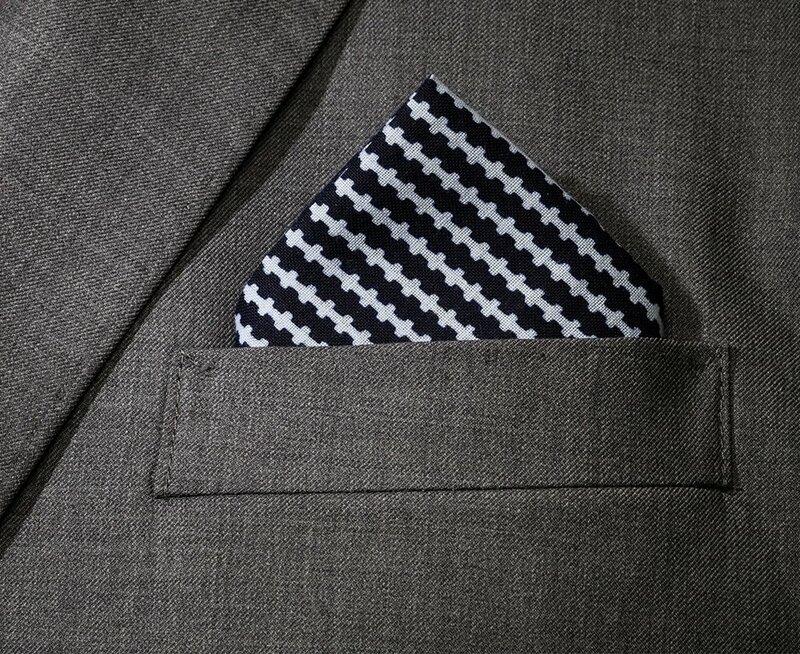 Ishidatami is also known as Ichimatumoyo (checkerboard pattern). 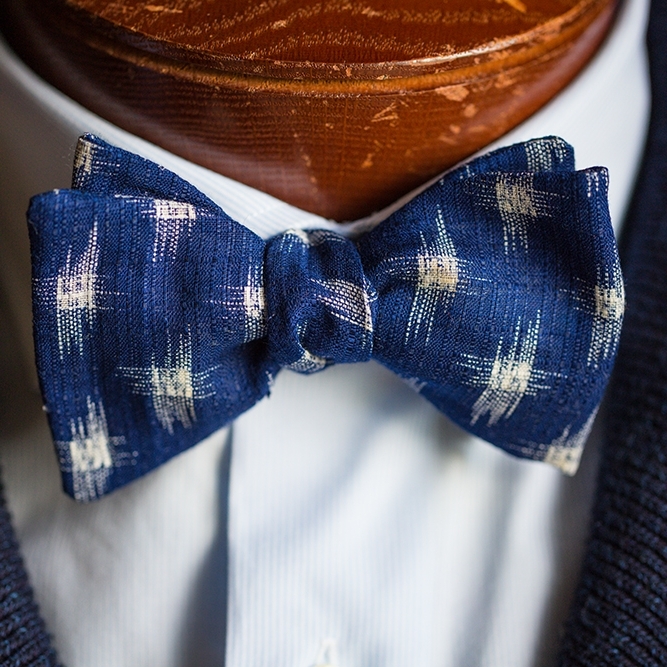 Ishidatami has been used in many different ways throughout the years due to the simplicity and versatility of the pattern. The tortoise is a symbol for long-life and good fortune. It is said to live for 10,000 years and represents longevity in Japan. Sometimes the tortoise is shown with a tail made of seaweed, showing its age, which is called a minogame. Kikko means "tortoise shell" with the hexagonal geometric design depicting the shell, originating from Western Asia. Karakusa, or 'arabesque', is taken from the patterns found on stalks, branches and tendrils, and the links between leaves and vines of plants. It is a symbol for eternity and sometimes a symbol for a family's legacy. The Chrysanthemum, or Kiku, is a symbol that represents longevity, endurance and integrity. It is the most celebrated of all Japanese fall-flowering plants. The Japanese Royal Family was fascinated with the Chrysanthemum when it was first introduced to Japan from China during the Nara period. The Chrysanthemum is now the Imperial Family Emblem, used as the imperial symbol of Japan, even appearing on the Japanese passport. The Kiri, or Paulownia, is also known as the 'empress or princess tree'. There is an old saying “Paulownia makes a good dowry." Traditionally, Paulownia trees would be planted when a girl was born, and cut down to be sold and made into a kimono dresser as she settles into her new marital home. In legend, it is closely associated with the Ho-ou or Phoenix, which was said to nest in the tree, and would then watch over the family. It also said that the Phoenix will only land on the Empress Tree and when a good ruler is in power. Hence, the Kiri is a current symbol for the government in Japan. The Koi fish was first produced in Japan during the 1920’s, in the town of Ojiya in the Niigata Prefecture, located on the Northeast coast of Honshu Island. The wider world was not introduced to the Koi fish until the early part of the 20th century. In China, there is a legend of a waterfall emanating from a dragon's home, known for its difficulty to travel upstream. If any Koi fish succeeds to reach the gate of the dragon's home, the koi will become a dragon. Based on this legend, the combination of koi and flowing water has become an auspicious pattern symbolizing success in life. In the Edo period, it was common to have room dividers in a lattice pattern. Thin wood or bamboo was set horizontally and vertically to create this pattern. It is said that Koushi is based off these patterns. Koushi with thicker lines represents power; Koushi with thinner lines stands for elegance. Komon means "fine pattern", and is a name for patterns made up of tiny, tiny details, appearing like a solid color from afar. These patterns are usually printed from woodblocks or dyed using stencils. 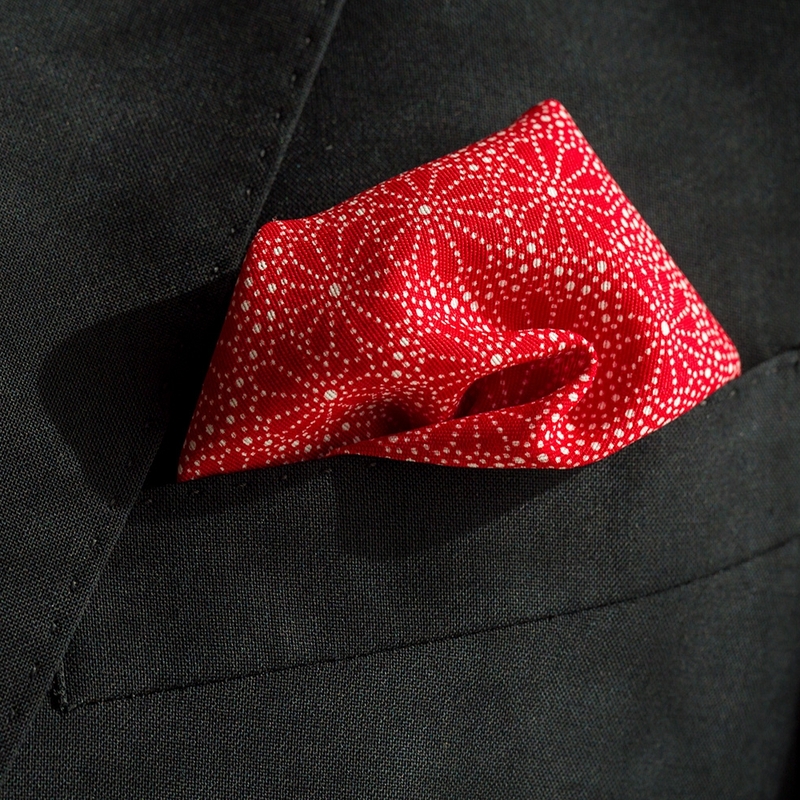 Komon patterns were originally only used for ceremonial garments but is now mostly used on Kimono fabric. Nami, or "wave," was used as a symbol of gods of the seas. This pattern was also seen on banners and armor from the Sengoku Era (the age of provincial wars), in which troops in war resembled a moving wave. The pattern represents strength, with marvelous depictions of churning, flowing waves. Sayagata is a pattern of interlocking manji - ancient Buddhist symbols that have been used across many cultures for thousands of years. Sayagata originated in India as a motif often applied to Buddhist architecture. 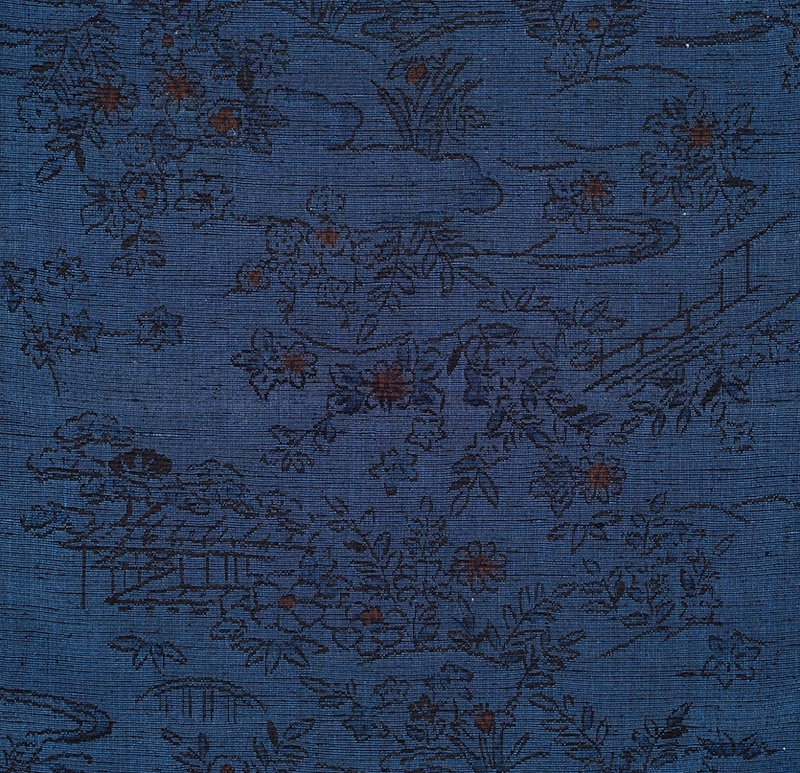 Sayagata was introduced to Japan from China on imported textiles in the Tenshō era (1573-92). Seigaiha literally means "blue wave of the sea". The double circle patterns resembling ocean waves is not only found on fabrics but on packaging and pottery. This pattern has been used as a clothing motif in Japan for more than a thousand years and also used on ancient Chinese maps to illustrate seawater. The pattern originated from Middle Eastern culture and was introduced to Japan through China around the 11th century. It is considered a symbol of peace, good luck, and good fortune. Shibori is a resist-dye technique similar to tie-dyeing, where fabric is tied off with string to form intricate patterns. When the string is removed, it reveals detailed images. Shibori dyeing is time consuming and requires excellent hand-dexterity. The small dot patterns shown here are known as Kanoko Shibori. The Shippou pattern refers to the seven treasures of Buddhism: gold, silver, lapis lazuli, agate, seashell, amber, and coral. All of these are found on the Asian continent and were precious and rare products. Shippo also means "cloisonné," which refers to a decorating technique using metal strips and gems. The pattern represents these beautiful seven treasures inlaid in metal, in an infinitely repeating pattern or interlocking circles. 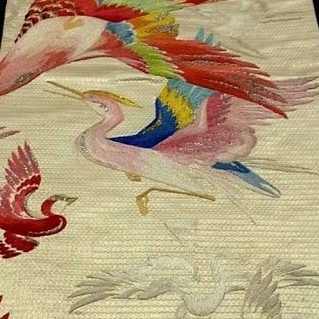 The Crane or Tsuru often appearing in Japanese textiles is a symbol of good fortune and longevity due to it's fabled life span of a thousand years. Only used by high-ranking families, Tsuru represented auspiciousness. There is a phrase saying Tsuru wa sen-nen, Kame wa man-nen; A crane a thousand years, a Tortoise ten thousand years. Uroko means scales, as in the scales of a fish, shark or snake. It is used as a protective charm, symbolizing scales of a dragon, as a pattern on the lining of Kimono or Obi. However, it is also seen in theater on villains as the scales of a snake.